Giroud Tree and Lawn specializes in tree service, tree removal and lawn care programs that make customers love doing business with the company since 1974. Serving Bucks, Montgomery and Philadelphia Counties, the company offers professional tree and lawn evaluation, tree pruning, tree removal, insect and disease control, fertilizing, stump removal and traditional and 100% organic lawn programs to keep lawns healthy and green . Giroud Arborists are certified by the International Society of Arboriculture (ISA) and have the knowledge and experience required to properly diagnose, treat and maintain trees and lawn health. 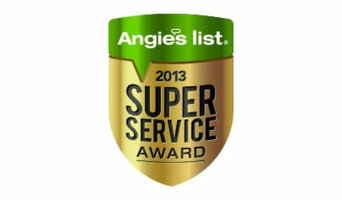 The company has been awarded the Angie's List Super Service Award® every year since 2005. The “Giroud Treework for Charity” program donates free tree care services to parks, historical sites and other non-profit organizations located in the Company’s service area. 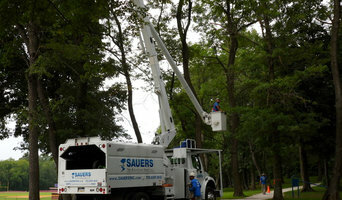 Sauers Tree & Landscape Service, Inc.
Sauers, Inc. has been caring for our clients & their trees since 1996, serving Bucks, Montgomery, & Philadelphia counties. With our 100% Satisfaction Guarantee, you can rest assured that you will receive the highest level of client care in the industry from your initial phone call through to the completion of your work. Call 215-659-1613 today to schedule a FREE Tree Care Evaluation with one of our ISA Certified Arborists! We are proud to offer tree removal and tree trimming services in Marlton, Medford, Mount Laurel, and surrounding areas in South Jersey. Whether you’re looking for experienced climbers and tree cutters to remove a hazardous tree from your yard or need an expert arborist for tree trimming services to ensure the health of your tree, our team here at Big Timber Tree Service can deliver. We offer tree removal, tree trimming, and stump removal services to the South Jersey area, including Marlton, Medford, Mount Laurel, Voorhees, and Cherry Hill. Crecraft for Treecraft offers personalized tree services, specializing in fine pruning & trimming, planting, preventative maintenance, big tree removal with professional clean up, transplanting of trees & shrubs. Our company offers personalized tree services, specializing in fine pruning & trimming, planting, preventative maintenance, cabling, big tree removal with professional clean up, transplanting of trees and shrubs. We also offer stump grinding, firewood sales and land clearing. 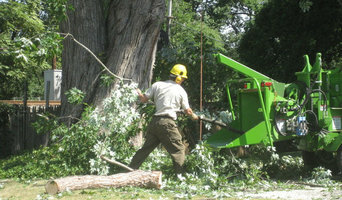 B&B Tree Service from Glendora, NJ provides residential and commercial tree services for your toughest outdoor jobs. We've been around since 1990 and work throughout South Jersey in Camden County, Gloucester County & Burlington County. Our mission is simply to provide superior tree service and customer relations while staying dedicated to safe and environmentally sound practices. We offer affordable pricing and quality work. 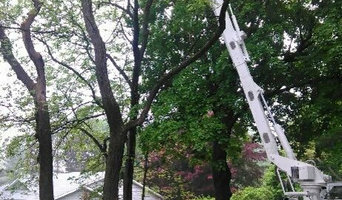 A well-established company, The Tree Connection provides a full range of residential and commercial tree services in Chester, Berks, and Montgomery County. We pride ourselves on providing honest, dedicated, knowledgeable, and skillful work. .
We have a full-service team of professionals with experience in planting, landscape design, renovation, lawn installation, manicuring, and fertilization. We work hard to go above and beyond to achieve your complete satisfaction. We've provided customers with professional and courteous landscape services for over 38 years, and we're still going strong today. We're looking forward to helping you with all of your landscaping needs. Stump Grinding And Stump Removal. Thats all we do is stumps, call or text us today for quick quote. We service all of Delaware County , Chester County and the entire Pennsylvania Tri State Area. Providing distinctly passionate tree service, removal, and lot clearing in South Eastern Pennsylvania. E-Z Tree Care Inc. has been providing professional tree services to residential, commercial, municipal, and government customers in South Jersey and Philadelphia for years. E-Z Tree Care Inc is one of the larger tree service companies in South Jersey and Philadelphia with several full time tree service crews, and many staffed employees including Contract Certified Arborists. 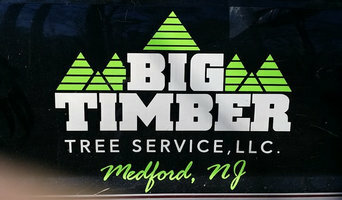 We are a Full Service Tree Care Company and proudly Provide Professional Tree Services including: Tree Removal, Tree Trimming, Emergency Tree Removal , Stump Grinding and much more to home and business owners throughout Southern New Jersey especially in Atlantic, Burlington, Camden, Cape May, Cumberland, Gloucester, Mercer, and Salem Counties. Whether you need to to trim a few limbs or Remove a Large Dangerous Tree, our tree service crews have the knowledge and experience to get the job done right, the first time...every time! Our Company is BIG enough to handle the largest job and small enough to provide you with the service and attention that you deserve. At E-Z Tree Care our goal is to treat every client like our ONLY customer by providing High quality, Professional, Reliable Tree Services at a FAIR PRICE!! Our Highly Skilled and experienced Tree Service crews are ready to help you maintain a healthy, safe and beautiful outdoor living environment. Complete tree and shrub care specialist. Whether you’re planning a new garden or landscaping an existing one, an arborist can also advise you on the best tree selection for your Philadelphia, PA environment, assist in planting, and can provide you with a long-term maintenance plan. Furthermore, they can help you diagnose any insect problems or diseases threatening existing plants in your yard. If you want to relocate a tree, an expert in arboriculture can give you advice on what it will need to flourish, and will replant it accordingly. Other services include hedge and shrub trimming, tree pruning and mulching. Tree contractors and arborists in Philadelphia may work in conjunction with landscaping professionals to create a seamless design. Here are some related professionals and vendors to complement the work of arborists & tree services: Landscape Contractors & Gardeners, Landscape Architects & Designers, Garden & Landscape Supplies.